For its first two years, North Korea has been the Trump administration’s highest profile diplomacy effort in Asia. The President and his advisors believed that in dealing with North Korea they had better ideas, greater skills and more favorable conditions than their predecessors. Some even dreamed that Donald Trump could be the second American president after Theodore Roosevelt to be awarded a Nobel Peace Prize for a peace treaty in Northeast Asia. Most of us with experience in U.S.-North Korea relations over the years were at best skeptical and at worst cynical, but we hoped that we might be wrong and that that this time would be different. As it turns out, the third generation of the Kim dynasty is simply an updated version of the first two. It relies on completely disproportional expenditures on military force, conventional and military, both to deter its enemies and to justify the hardships its people endure; it meters out modest economic improvements to its long-suffering and thoroughly brainwashed population, while maintaining the most repressive police state on the planet; it attempts to trade unimportant and reversible limitations on its nuclear programs for real economic assistance, while keeping secret the most important parts of its nuclear complex. North Korea is currently threatening to break off its talks with the United States and resume testing, and, for its part, the United States has stated it is in no hurry to schedule a third summit meeting and would react strongly to resumed North Korean nuclear or missile testing. So where should the United States go from here? It is time to get back to basics, both in our policy towards North Korea and in our overall Asian policies. First, policy towards North Korea. The United States should sustain its objective of a fully denuclearized North Korea. This approach is neither unrealistic nor an admission of failure. There have been many U.S. national security objectives that take time and are difficult to achieve. Lesser objectives such as suspension of testing and a limited nuclear arsenal meet many North Korean security objectives but add to the security of the United States and its allies in the region. With denuclearization as the objective, the United States and the rest of the world have the justification for continued tight sanctions on North Korea. That country, and any country that has aggressive and dangerous regional ambitions, cannot be allowed the economic resources to build up its military forces, conventional and nuclear. 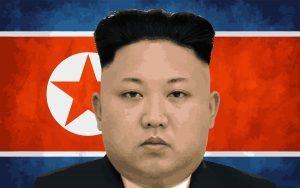 The United States must stop treating Kim Jong Un as a clever statesman but deal with him as the brutal dictator he is. The United States should redouble its own efforts and those of our ally South Korea and other countries to spread information within North Korea about the social and economic penalties that the Kim regime is imposing on its people. A popular revolt against the Kim regime is neither likely nor likely to be effective. The objective of an information campaign is to convince the elites in North Korea—the Army, police and propaganda leadership—that they themselves, their families and their country would do better without Kim. In many other countries, in Eastern Europe, Asia and Latin America, disillusioned elites have isolated and removed brutal dictators. Next, policy in Asia. It is time to return to basics. The favorable American position in the world’s richest and most heavily armed region of the world has depended on forward deployed military forces, strong alliances, trust in American intentions and steadiness, and admiration for the free and dynamic nature of our society. To maintain that position in the ongoing competition with China, the latest in a line of regional challengers to its position, the United States needs to emphasize all four pillars and act in accordance with them. Robust challenges to unfair economic and business practices by both competitors and allies are fine, and in many cases overdue. Every nation understands the responsibilities of government to deliver prosperity to its people, and to support its own economy within a system benefiting all. However, putting price tags on alliances and security policies undermines the American security position in East Asia. When the United States and its allies need to act together in serious crises, it is because of shared interests and commitments, not because of the size of host-nation support payments. There remain many issues and disputes that could flash into crises in East Asia involving either North Korea or China. Now is the time for the United States to strengthen our alliances and defense partnerships and build the regional institutional capacity to deter some from happening and handling those that will occur.